Riding with us is an experience not to be missed, whatever your ability. 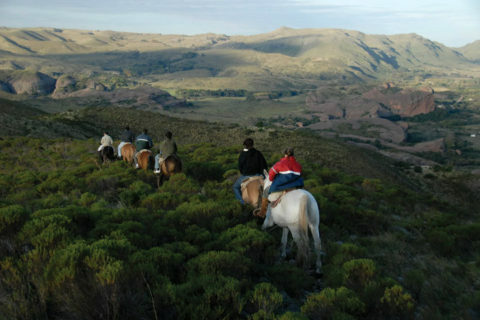 The adventure starts in the ‘monturero’, where our staff prepares the horses and the journey begins. 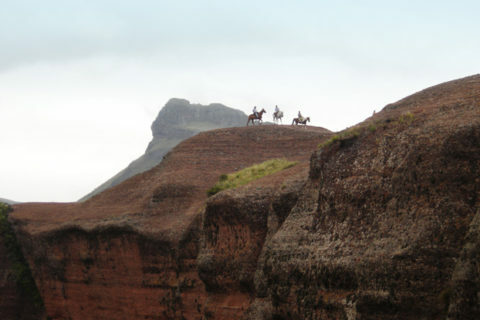 The ride through the valley, guided by expert guides and with the best horses and equipment, make Dos Lunas a unique place. The ride by the ‘Terrones de Ongamira’ is the favorite one, ideal for a first visit through the place and get to know our horses. 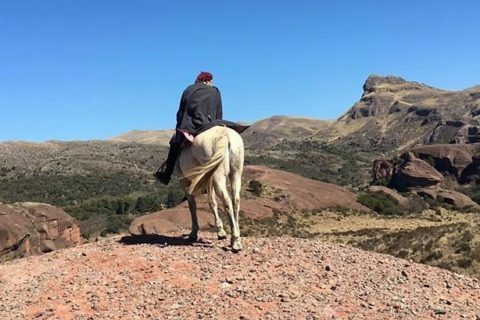 It consists of a ride through the valley to the foot of the reddish formations that give name to the area, with the possibility of climbing on horseback, enjoying a spectacular view. For the adventurers, the ideal ride is ‘Cerro Colchequín. 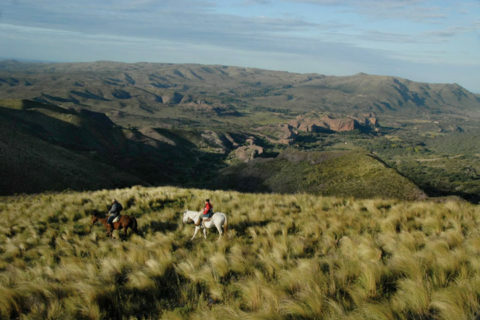 We ascend the Cerro on horseback through the same lands in which the ‘Comechingones’ fought their last battle against the Spaniards. You can enjoy the panoramic view of the Ongamira Valley and the lodge, with sightings of eagles, condors and peregrine falcons. At the top of the hill, condors can often be seen.